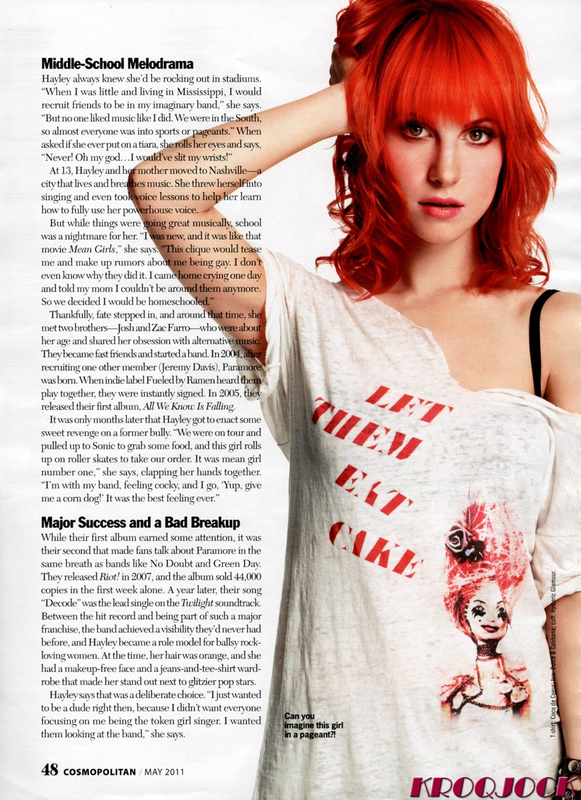 Hayley Williams in Cosmopolitan Magazine. 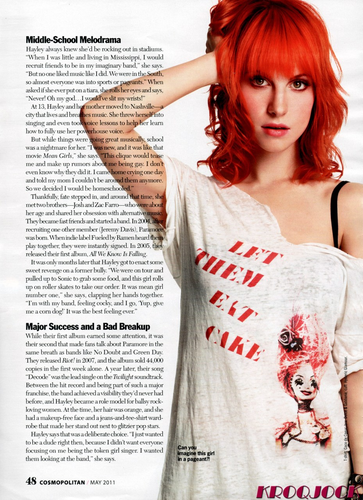 Hayley Williams in Cosmopolitan Magazine. HD Wallpaper and background images in the Paramore club tagged: paramore hayley williams magazine cosmopolitan 2011 scans. This Paramore photo contains portrait, headshot, and closeup. There might also be jersey, t shirt, tee shirt, and top.